24hourdigitizing.com is not only your preferred embroidery digitizer, but we’re really your offsite art department. 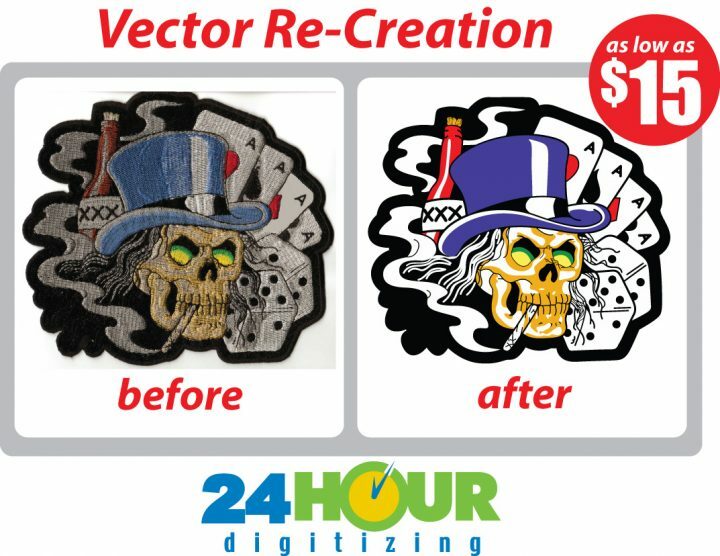 24hourdigitizing now offers vector art re-creation services for screen printing & sign industries as well as publishing and advertising industries. If you need a clean vector file for your next job, we’ll do it for you quick and professionally at a low cost! Consider us your outsourced design department!